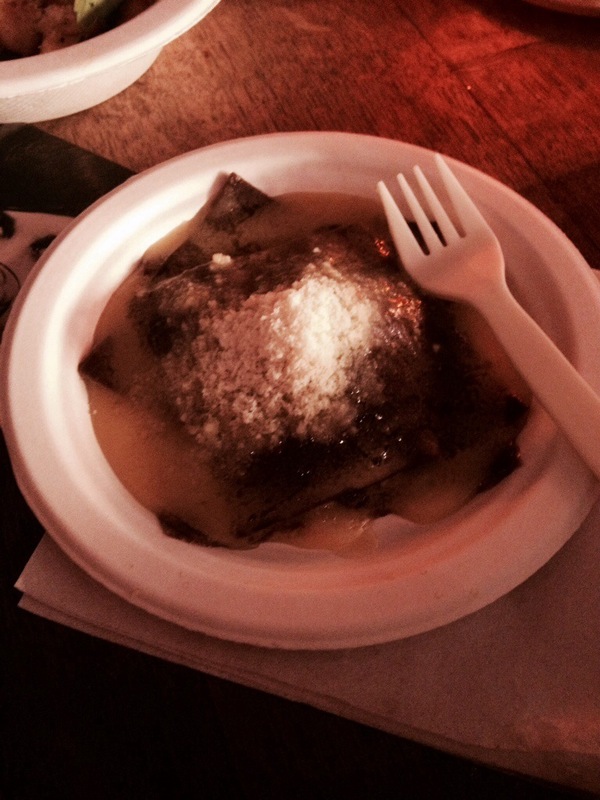 Last weekend I had a taste of Italy in my own East London backyard, or back Alley in this case. 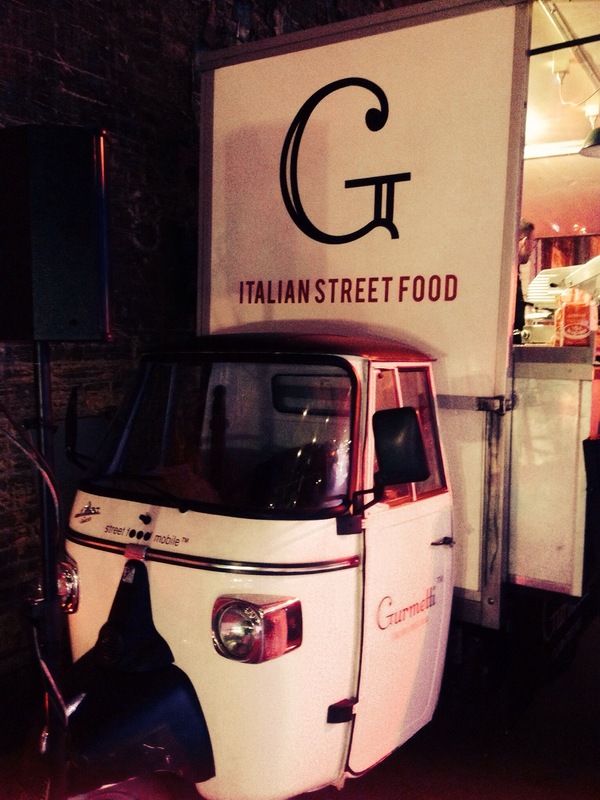 The Moretti Gran Tour London is back after a successful summer run with “The Winter Edition” at The Lofts. 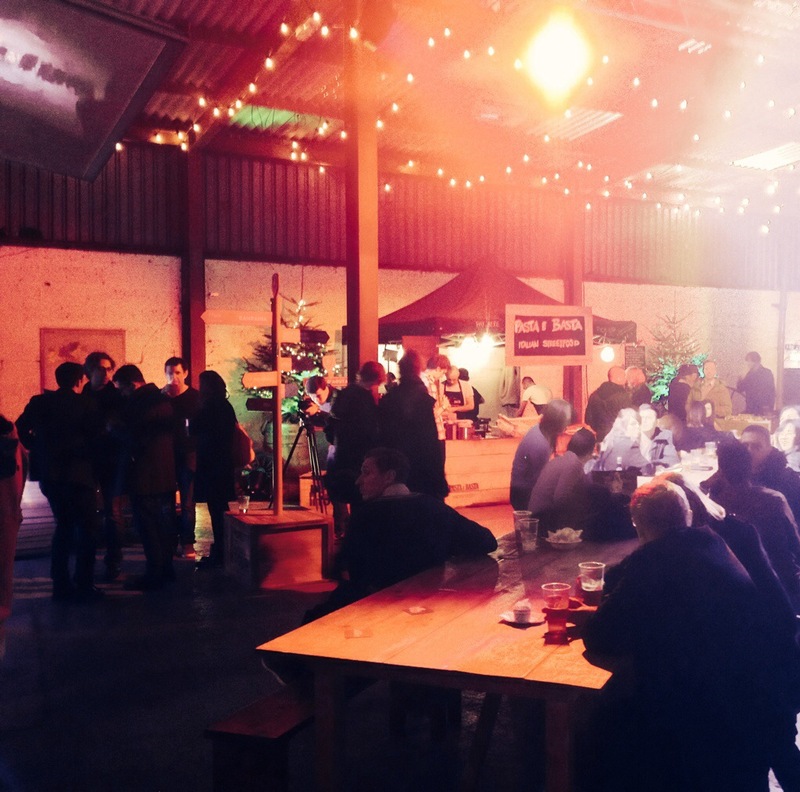 “The Lofts” is PR speak for empty and hard to find warehouse space, but this makes the perfect venue to bring together some of London’s best Italian street food vendors under one roof. Hosted by premium Italian beer Birra Moretti. For a £10 ticket you were entitled to one free beer, two portions of savoury foods and one gelato. We tried the handmade beef and red wine gnocchi from Pasta E Basta, and the amazing chocolate and venison ravioli from Cooking Cooks. 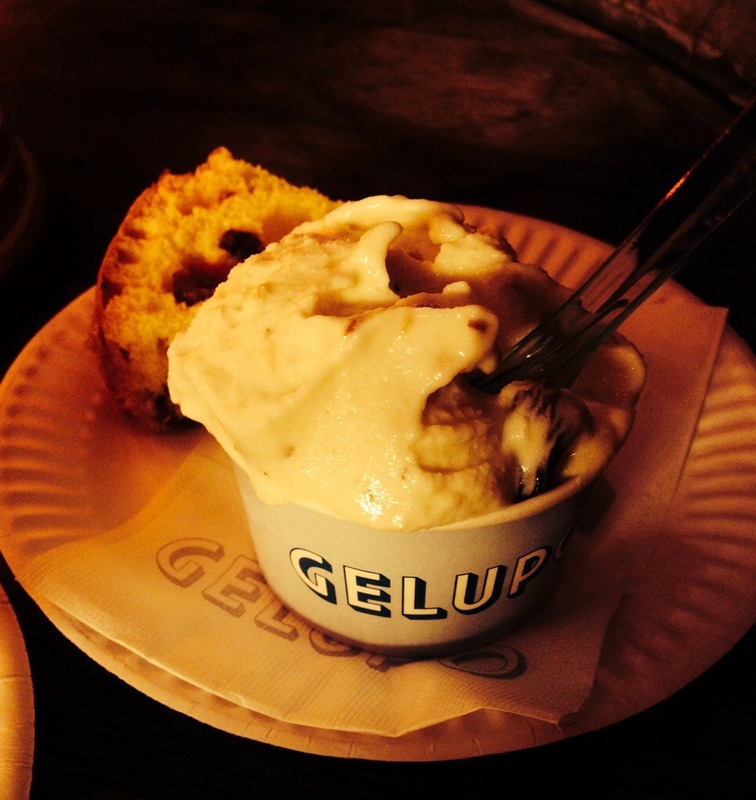 The Gelato and Panettone from Gelupo was delicious, we several amazing flavours available. With street food markets becoming a bit passée it’s refreshing to have a clear theme for an evening, and the tasting portions at the Gran Tour offered the opportunity to try more than one thing (as street food lovers will know, choosing just one dish is always an issue).